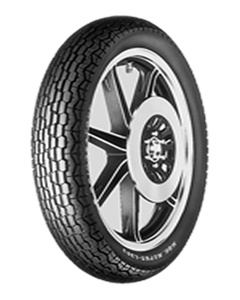 The Bridgestone EXEDRA L-Series front tyres are original equipment on a large number of current and earlier Japanese motorcycle models. Designed for serious touring riders, offering excellent grip under high-performance conditions. Neutral handling for greater stability and control. Modern, attractive tyre profile complements the look of high-range touring bikes. Exedra tyres cater amongst others for a wide range of Japanese and American bike models.